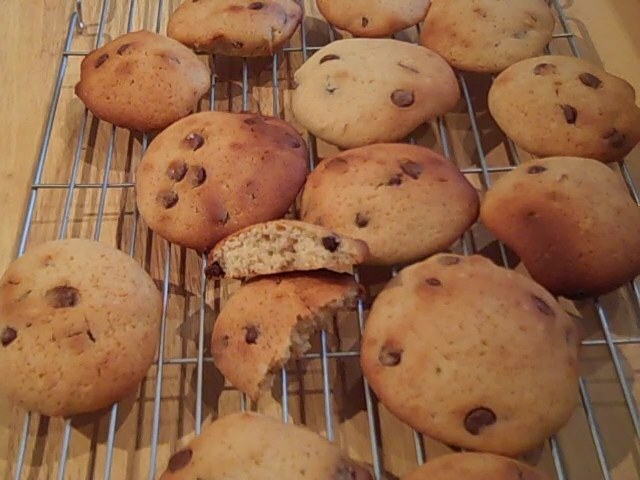 The amount of butter for a traditional chocolate chip cookie is reduced and replaced with a good dose of cream cheese. These cookies are a little cake-y and just the right amount of sweet. Preheat oven to 175C/350F/gas mark 4. Line baking sheets with baking parchment. Gradually add flour mixture, mixing until combined. Add chocolate chips, stirring until dough is thoroughly mixed.